The covers album is a tricky old beast and one that few acts manage to fully tame. It’s an endeavour that can easily expose a lack of direction, an absence of fresh ideas or worse still, an ill-judged excursion into self-indulgence. 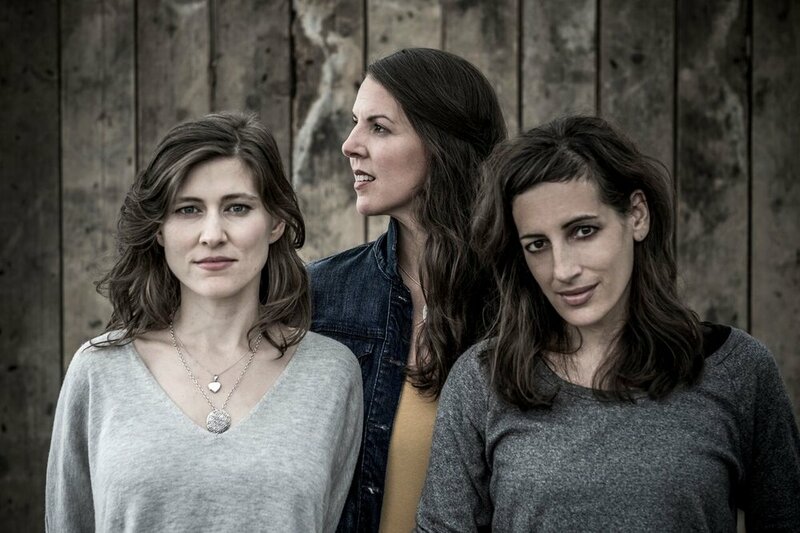 It’s no small miracle, then, that female-vocal-bluegrass darlings The Wailin’ Jennys have made such a coherent success of Fifteen, their first album since 2011’s highly acclaimed Bright Morning Stars. Fifteen is so named because the band are celebrating a decade and a half together. The nature of the new record is, in part, a product of circumstance: the three vocalists now live far apart and in different cities and all have young children, so they could only schedule five days together to record a new album. A direct result of being tight for time is that the musical accompaniments here are, on the whole, very sparse. Though with voices as tender and well-matched as these, that only serves to enhance the intimacy and reverence in which Fifteen is steeped. Some of the arrangements on the album have been honed over the years as part of the band’s live show which again explains why this set of songs, recorded in a hurry, conversely sounds so well-established and unrushed. Opening up with the English folk song ‘Old Churchyard’, the trio sings against a gentle viola drone. It’s a haunting start, leading neatly into Tom Petty’s ‘Wildflowers’ for which Moody, Masse and Mehta are joined by bandmates Sam Howard, Richard Moody, Adam Dobres and Adrian Dolan. The song has long been a staple of The Jennys’ live set and the simplicity of this recorded version, very much in the spirit of the 1994 original, will surely delight fans of the late Mr P.
I’m sure that I’m not alone in struggling with the oddness that is a whole Jane Siberry album, but next, The Wailin’ Jennys reveal the full heart-breaking beauty of her song ‘The Valley’ from the 1989 release Bound By the Beauty. The three voices enter gradually one at a time, giving it a slow build, supported by simple acoustic guitar and weeping strings. When I played it loud with the windows open I swear I heard the heavy sobbing of grown men all along my street. The ladies return to fully a capella mode for Dolly Parton’s ‘Light of a Clear Blue Morning’ which is delivered almost like a spiritual. Paul Simon’s ‘Loves Me Like a Rock’ is bouncier and lightens the mood, held together as it is by finger clicks and handclaps. Another legendary elderwoman of Country - namely Emmylou Harris - is celebrated next in the form of ‘Boulder to Birmingham’, lightly dusted with steel guitar and mandolin courtesy of Richard Moody. ‘Not Alone’ is another bringer of tears. The sorrow of the Patty Griffin song, taken from her 1996 debut, is nothing short of an emotional ambush, which The Jennys execute like the highly trained assassins they are (in this particular metaphor). For me, though, the album’s secret weapon has to be the gently poignant rendition of Warren Zevon’s ‘Keep Me In Your Heart’ which manages to be simple, sad and sweet all at once. It’s a great reminder of the massive songwriting talent that, as coincidence would have it, left us nearly fifteen years ago. The Wailin’ Jennys finish by playing things straight with Hank Williams’ ‘Weary Blues from Waiting’, the pure Country harmonies of which will surely delight anyone hankering after a truly southern bluesy sound. It’s also an important number for the band as it was the first song they ever sang together and therefore a fitting finale to the album. The perfectly blended voices of Ruth Moody, Heather Masse and Nicky Mehta are a rare treat all on their own. Rarer still is the ability to put together a collection of covers that sounds so right as a whole record. They acknowledge some giants and shine a light on some lesser-lauded songwriters but most importantly they fill every song on Fifteen with their own character and charm. They’ve tamed the beast and turned it into a real beauty. Fifteen will be released in the UK via True North Records on January 5th. When The Steel Woods burst onto the scene with ‘Straw in the Wind’ in 2017 they bought fresh new energy to the burgeoning Southern rock scene – not an easy thing to do with the likes of Blackberry Smoke and Whiskey Myers already spreading the word in fine style. A mix of original material and contributions from such heavyweight songwriters as Darrell Scott and Brent Cobb ‘Straw in the Wind’ was a fine record that found the band equally adept at picking out a country tune, when they weren’t exploring a melancholy Southern gothic vibe reminiscent of the solo work of Zakk Wylde. Coincidently, the band even found room for a Black Sabbath tune with a powerful blues-rock take on ‘Hole in the Sky’ which might well prove to be the first of many such excursions into the Sabbath catalogue. When Glenn Frey passed away in 2016 he left a legacy of music of which any artist would be proud. Over the years his work as a solo artist and with the Eagles seems to have divided opinion, for every Eagles fan there seems to be hater just around the next corner, a situation I’ve always found very surprising. ‘Hotel California’ and ‘Their Greatest Hits 1971-75’ (the latter of which is the second bestselling album of all-time with 29,000,000 sales in the USA) are a fitting tribute to Frey and his talents. After forty years I’ll still happily spin 'Hotel California' and those early hits, which I consider to be solid gold classics, and I’m pleased to report the Library of Congress selected the hits album for preservation as "culturally, historically, or artistically significant" so I’m in pretty good company. The 3-CD + 1-DVD set ‘Above The Clouds’ finds us venturing far from those early country rock roots as Frey the solo artist seemed content to follow his muse wherever it took him, generally in a soft-rock / soul / R&B direction. The results, especially looking back in the cold light of day, are uneven but not without some genuinely standout tracks, all of which are presented with a professional sheen when maybe, on occasion, a little grit would have been welcome. Growing up there was one album that never seemed to be very far from the old stereo in the back room (as we called it) of my family home. That album was ‘Johnny Cash at San Quentin’ and to this day I can’t hear that album and not think of my Dad. There always seems to be a debate over the Prison albums but for me, it’ll always be ‘San Quentin’ that I’ll reach for and Johnny Cash would, in a roundabout way, become the inspiration for Red Guitar Music, but that’s another story. I have a good deal of respect for John Carter Cash and the Cash family who’ve treated the Cash catalogue, in the nearly fifteen years since Johnny Cash passed with great dignity. No signs of mud-slinging and courtroom battles here, maybe the likes of the Zappa and Prince families should take note. Looking back, It must have been four years ago and the fledgling RGM was just starting to get noticed by Pr companies and labels. It was an exciting time; a review of the self-titled Parker Millsap album would lead to an invite to see him open for Old Crow Medicine Show on their UK tour, at The Roundhouse in London, in support of the ‘Remedy’ album. Parker was excellent and he fully lived up to the promise of his record and Old Crow would be up next. Now, to be honest, I wasn’t really fully aware of O.C.M.S. much beyond ‘Wagon Wheel’ but a very quick spin through the highlights of their back catalogue on the day of the show made me think they could be pretty good. Obviously, as any fan of the band knows, they’re a monster live act with songs and musical dexterity to burn. Needless to say ‘Remedy’ became pretty popular in the RGM office in the days that followed so when ‘Volunteer’ hit the RGM inbox I was very keen to check it out.